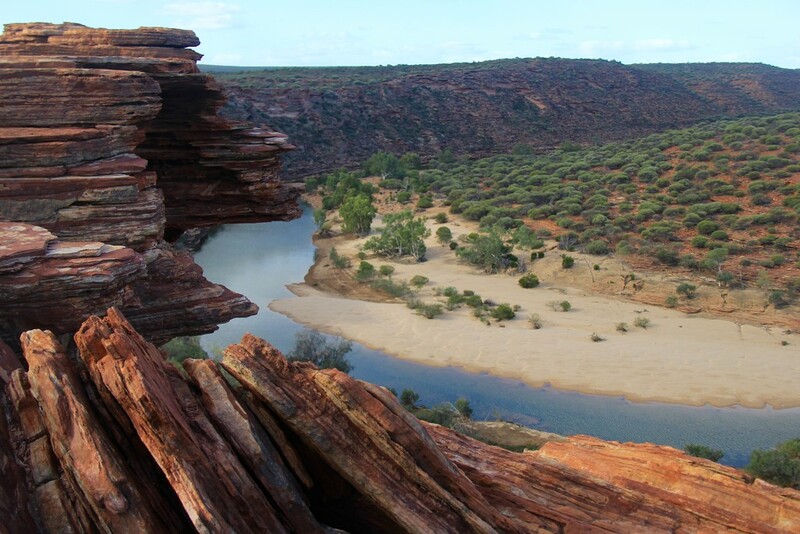 Over many millions of years these layers of sandstone strata have been pushed, squeezed and uplifted to be finally gouged and eroded by the magnificent Murchison River. Kalbarri, Western Australia. Wonderful capture of some rugged landscape. Like your composition for this image. Fav. Yes, so well composed - gives a real sense of depth and distance. @bkbinthecity @carolmw @terryliv @hermann @joannakate @littleconnie @purdey @merrelyn Thank you for your lovely comments and favs.